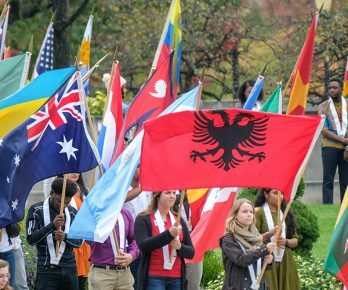 The University of Indianapolis will celebrate in October the first annual International Education Month, highlighting the diverse, multicultural resources on the campus and in the community. Lectures, films, musical performances and panelist discussions offer multiple opportunities to engage with international and diverse perspectives. All events are free and open to the public. A variety of events throughout the month provides the opportunity to engage with internationally-themed events, including art, music, poetry, film, special guest speakers and forums. The “Cultural Competence: Return on Investment Forum” on Oct. 5 invites employers to discuss the value of a diverse and multicultural workforce. “We want to bring awareness, both on and off campus, to the importance of understanding culture,” said organizer Phylis Lan Lin, professor of sociology and associate vice president for international partnerships. Lin noted how exposure to new cultures and study-abroad experience can be an asset in the job search process. Indianapolis Mayor Joe Hogsett is tentatively scheduled on Oct. 5 to present a proclamation declaring October International Education Month at the forum. He noted the University’s contributions to multicultural educational opportunities. “We take pride in the fact that UIndy is a truly international community and has extensive international relationships,” Mayor Hogsett stated in a congratulatory letter, noting the University’s partnerships in Asia. International Education Month highlights include the West Meets East Concert on Oct. 8 at the Ruth Lilly Performance Hall in the Christel DeHaan Fine Arts Center, featuring world-renowned musicians from Indianapolis, New York and Shanghai, including UIndy music faculty. The Celebration of Flags on Oct. 12 is a University tradition that honors the many nations represented by students, faculty and staff. An International Expo will follow the celebration to showcase the University’s international engagement, language classes, study-abroad offerings and volunteer opportunities. “We’re especially focused on creating opportunities for domestic students to engage with international people and initiatives on campus, and give international community on campus a chance to share their cultures,” said Karen Newman, assistant professor of English and one of several event organizers. The Indianapolis Quartet returns Oct. 2 to perform at the University of Indianapolis, showcasing the world-class talent of the ensemble and the continuing partnership with the Indianapolis Symphony Orchestra. The Quartet, launched in 2016 and featuring University music faculty and ISO musicians, has established itself as a marquee group in the regional musical community. Its members have earned international acclaim and reputations as being among the most elite musicians in the area. With renewed support from the Christel DeHaan Family Foundation, the Quartet will continue to expand its audience, nationally and internationally. “The Indianapolis Quartet features some of the best musicians in the world who have set forth on a trajectory for growth that will extend well beyond Indiana as the ensemble becomes synonymous with musical excellence,” said Brenda Clark, chair of the Department of Music at the University of Indianapolis. 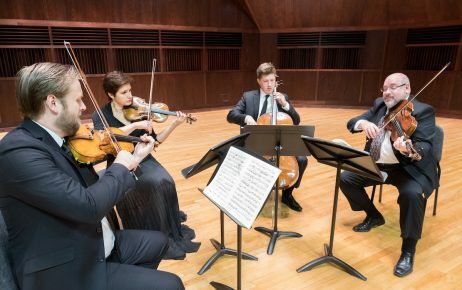 The Quartet will deliver a free performance at 7:30 p.m. tonight in the Ruth Lilly Performance Hall in the Christel DeHaan Fine Arts Center. RSVP is requested. The performance will include major works associated with Vienna, from the classical procedures in Beethoven’s G-Major Quartet, Op. 18, No. 2, to the lyrical intensity of Johannes Brahms in his A-minor Quartet, Op. 51, No.2. The three-time, Grammy-nominated clarinetist Todd Palmer joins the Quartet for Mozart’s eloquent 1789 masterpiece, the Quintet for clarinet and strings, K. 581. The Quartet consists of ISO concertmaster Zachary DePue, Joana Genova, second violinist violist Michael Isaac Straus and ISO principal cellist Austin Huntington. Genova recently joined the University as visiting instructor and director of Chamber Music initiatives and brings a wealth of international success as a musician, both in Europe and the United States. 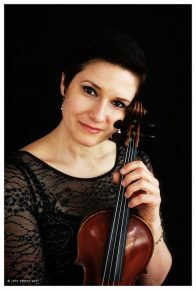 Genova most recently served as principal second violin Berkshire Symphony Orchestra is former concertmaster of the Manchester Festival Orchestra and member of the Brooklyn Philharmonic. Detailed information on the Quartet can be found at www.indianapolisquartet.com. The Christel DeHaan Family Foundation recently awarded a $100,000 grant to support the Quartet. The DeHaan family is a longtime supporter of the Indianapolis arts community, including the University of Indianapolis. Christel DeHaan is the namesake of the Christel DeHaan Fine Arts Center, where more than 120 performances take place each year, entertaining more than 10,000 people. “The University is extremely thankful to the DeHaan Family Foundation for its continued support, which will be critical to achieving the vision for the Indianapolis Quartet. The goal is to enhance the cultural fabric of our city and region through both performance and educational outreach,” said University President Robert L. Manuel. For more information about the Quartet performance and other cultural events, please visit events.uindy.edu. 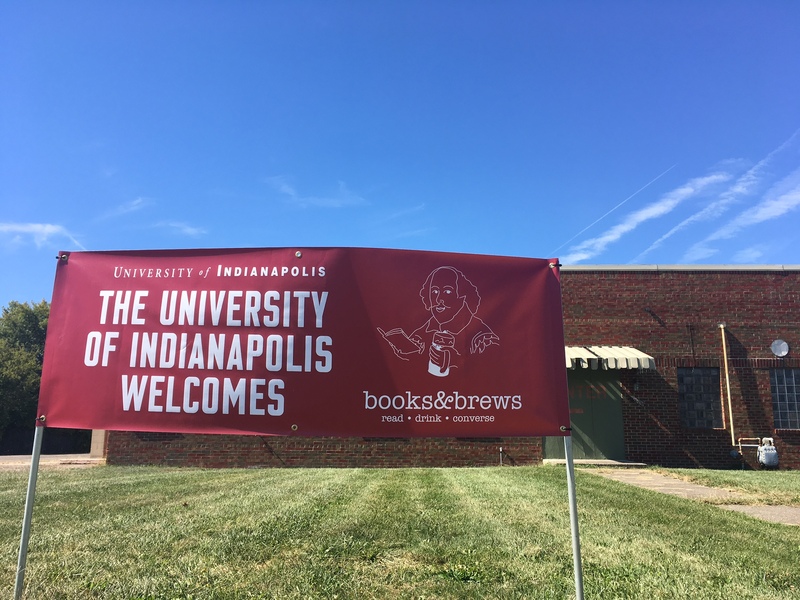 The University of Indianapolis announced today that Books & Brews, an Indianapolis-based retailer and restaurant, will open a franchise location next to campus in Spring 2018 in the former Shelby Bowl building. 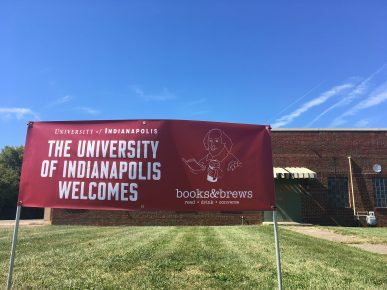 The University and Indianapolis-based developer OakBridge Properties have entered into an agreement with Books & Brews Used Bookstore and Taproom to develop the property, with construction beginning in October. The opening aligns with the University’s long-term commitment to grow the area in partnership with the surrounding community and to expand retail options for students and residents. The new business supports the University’s commitment to its Vision 2030 Plan, which defines a strategy for University and community growth that includes more than $50 million in capital investment for the campus and surrounding area. Working with local development partner Strategic Capital Partners, the University opened Greyhound Village Apartments in 2016. The project replaced a dilapidated apartment building that had become an eyesore for the neighborhood. The project is among several projects being pursued between the University and Strategic Capital Partners to enhance the University Heights and Carson Heights neighborhoods. The University’s strategic plan coincided with a Southside Quality of Life Plan, led by the Local Initiatives Support Corp. (LISC) and facilitated by the University and other area business anchors. The plan called for a host of area improvements, including economic development and enhancements to nearby neighborhoods. As developers continue to see the growth and success of recent investments, Manuel is confident it will spark additional economic development in the area. Books & Brews is Indiana’s fastest growing craft beer taproom. The University of Indianapolis location represents only the second franchise offered by owner Jason Wuerfel. Current locations include Indianapolis, Zionsville, Brownsburg, Muncie and Carmel. The new franchise owners are Evan and Melissa Sandullo, who moved their family to Indianapolis a year ago. “Our product is people,” Wuerfel said. “We use fresh beer, local food and social events as the artistic medium through which we communicate, but what we’re selling at Books & Brews is that human connection.” The business prides itself on making customers feel like regulars the second they step foot through the door, Wuerfel said. Vision 2030 maps a path for university and community growth through four strategic focus areas: innovation, University relevance and placemaking, institutional competitiveness and continuing as a sustainable community anchor. Vision 2030 also sets a course for the future to strengthen facilities and programs for students and faculty while increasing community engagement both socially and academically. The University of Indianapolis delivers a broad range of diverse cultural activities to the Indianapolis metropolitan area with the announcement of the 2017-18 performing arts season. The campus serves as a destination point for vocal and instrumental music performances, theatre productions, art exhibitions, readings and lectures and highlights a progressive arts and musical culture in the region. Fall performances at UIndy include the Indianapolis Quartet, a celebration of Artist-in-Residence Raymond Leppard’s 90th birthday and pianist and Artist-in-Residence Drew Petersen. The University has launched a new interactive website, events.uindy.edu, to coincide with the start of the fall performing arts season. See the website for event details and ticket information. University Faculty Concert Series is sponsored by Katz, Sapper & Miller. The Indianapolis Quartet, which returns Oct. 2 with a concert at Ruth Lilly Performance Hall, continues to showcase the elite musical talent in Indianapolis and the greater Midwest. The ensemble of world-renowned musicians welcomes new second violinist Joana Genova, who joins the University faculty, and fellow musicians Zachary De Pue, concertmaster of the Indianapolis Symphony Orchestra, on violin; Michael Isaac Strauss, former principal violist for the ISO, on viola; Austin Huntington, principal cellist of the ISO, on cello with guest clarinetist Todd Palmer. Genova has an illustrious career as a chamber musician, orchestral player, teacher, and soloist performing throughout Europe and is a former concertmaster of the Amsterdam Bach Consort and a member of Amsterdam Sinfonietta. The concert will feature major works associated with Vienna, from the Classical procedures in Beethoven’s G-Major Quartet, Op. 18, No. 2, to the lyrical intensity of Johannes Brahms in his A-minor quartet, Op. 51, No. 2. Three-time Grammy-nominated clarinetist Todd Palmer joins the Quartet for Mozart’s eloquent 1789 masterpiece, the Quintet for clarinet and strings, K. 581. —7:30 p.m., Oct. 2, Ruth Lilly Performance Hall, Christel DeHaan Fine Arts Center. The Quartet, which formed in 2016, is the result of a collaboration between the University and the Indianapolis Symphony Orchestra. The project was made possible, in part, through a transformational gift by University trustee and philanthropist Yvonne Shaheen, namesake of the Shaheen College of Arts & Sciences. This year, the Quartet also was awarded a $100,000 grant from the Christel DeHaan Family Foundation. Ruth Lilly Performance Hall, a Viennese-style performance hall housed in the Christel DeHaan Fine Arts Center on campus, has hosted thousands of world-class performers since being built in 1994. To arrange an interview or on-set performance with the Indianapolis Quartet, contact Sara Galer at galers@uindy.edu. Faculty Artist Concert Series gala opening with Maestro Raymond Leppard presented by Katz, KSM, Sapper and Miller on September 19, 2016. 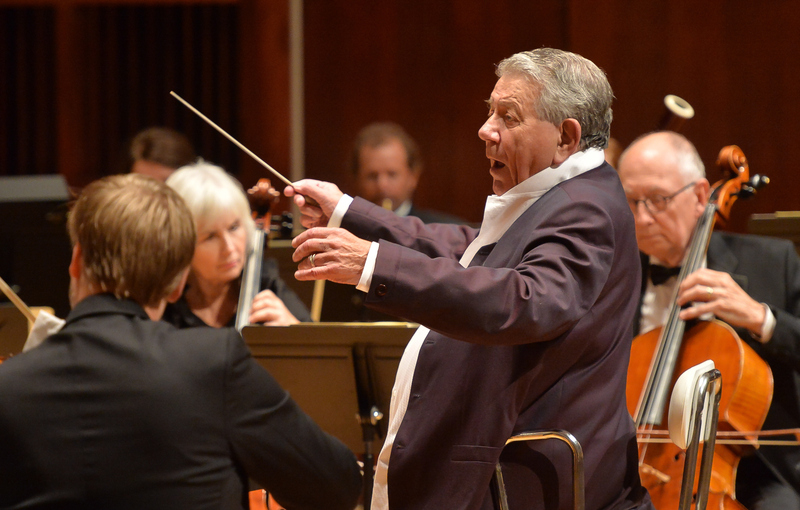 Maestro Raymond Leppard 90th Birthday Celebration features Artist-in-Residence Raymond Leppard, who also is conductor laureate of the Indianapolis Symphony Orchestra. Maestro Leppard, one of the most respected international conductors of modern times, has appeared with multiple leading orchestras across the world in more than 60 years on the podium. The performance features the University of Indianapolis Festival Orchestra and Choral Ensemble, with Zachary De Pue on violin, Michael Isaac Strauss on viola, Kathleen Hacker, soprano, and Daniel Narducci, baritone. The event celebrates Maestro Leppard’s 90th birthday with music of Mozart, Schubert and Sir Edward Elgar. –7:30 p.m, Sept. 18, Ruth Lilly Performance Hall, Christel DeHaan Fine Arts Center. 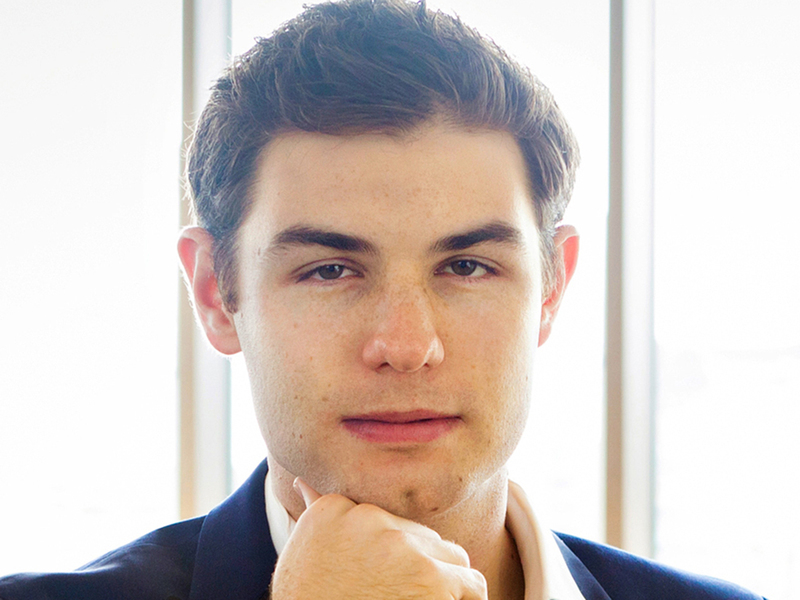 Drew Petersen, winner of the 2017 American Pianists Awards and the Christel DeHaan Fellowship of the American Pianists Association, will perform Sept. 25. Petersen has been named artist-in-residence for two years by the University of Indianapolis, where he will perform and teach with faculty and students as part of a unique partnership with the American Pianists Association. He has been a prizewinner in major international competitions (Leeds, Hilton Head, Kosciuszko Foundation) and has been profiled in the New York Times, New York Magazine and the documentary Just Normal. —7:30 p.m., Sept. 25, Ruth Lilly Performance Hall, Christel DeHaan Fine Arts Center. Other fall highlights include the Kenny Phelps All-Stars Sept. 6, “Pressing On: The Letterpress Film” Sept. 20, “Frankenstein” starting with free previews Oct. 26 and the world premiere of “The Mary Shelley Project” by local playwright K.T. Peterson on Oct. 31. See a complete list of the UIndy 2017-18 performing arts season at events.uindy.edu. The University of Indianapolis welcomes the incoming class of the 2017-18 Woodrow Wilson MBA Fellowship in Education Leadership program, announced recently by the Woodrow Wilson National Fellowship Foundation. This year’s class represents the fourth cohort at the University and is comprised of 21 current educators seeking careers as school leaders in Indiana. Through the national program, the University of Indianapolis is fulfilling the mission to grow the pipeline of education leaders for the state. Developed by the Woodrow Wilson Foundation, the WW Indiana MBA Fellowship program was created to develop a new model in education leader preparation, equipping graduates to head changing 21st-century schools across the state. The University of Indianapolis launched the program in the State of Indiana in 2014. As the WW Indiana MBA Fellowship program expands throughout the state, it charts a new course in education leader preparation. The WW Indiana MBA blends clinical practice in schools with innovative business school coursework, it ensures graduates have the knowledge and skills not only to guide schools and districts in a changing education environment, but also close achievement gaps between America’s lowest- and highest-performing schools and between the country’s top-performing schools and those around the world. Indiana is one of three states, with New Mexico and Wisconsin, that currently offer the WW MBA Fellowships, which integrates graduate education coursework with an MBA curriculum tailored to school leaders’ needs. The Woodrow Wilson Foundation administers the programs in Indiana through the generous financial support of Lilly Endowment Inc. Under the Woodrow Wilson model, Fellows take MBA courses with a specific focus on the education context. Offered through business schools in collaboration with education schools, the program is designed to prepare leaders who will drive innovation, expand the use of analytics and evidence-based practices, raise student performance to international standards, and improve the quality of school systems and teaching over time. Unlike programs that recruit career changers from other fields to work in schools, the Woodrow Wilson MBA Fellowship is intended for education professionals nominated by their school districts or charter school leaders. Those school systems partner with participating universities to establish internal leadership talent pipelines and cultivate new leaders. Fellows selected have demonstrated effective leadership and will use their knowledge of the education context to help transform schools from within. Each Fellow receives a stipend, which covers full tuition, materials, and associated program expenses. In exchange, each Fellow agrees to serve in an approved school or district leadership role within the state for at least three years, with Foundation-supported mentoring. The University of Indianapolis partners with a variety of area school districts and charter schools to develop partnerships that will sustain clinical placements, or in-school learning arrangements, and mentoring opportunities for WW MBA Fellows. Learn more about the program. About the Woodrow Wilson National Fellowship Foundation: Founded in 1945, the Woodrow Wilson National Fellowship Foundation (www.woodrow.org) identifies and develops the nation’s best minds to meet its most critical challenges. The Foundation supports its Fellows as the next generation of leaders shaping American society. About the University of Indianapolis: Since 1902, the University of Indianapolis has been committed to education for service. Today, 5,400 students are enrolled in respected undergraduate, masters and doctoral programs in the health sciences, arts, sciences, business, education and engineering, with an average class size of 17 providing a student-centric interdisciplinary and experiential learning environment. Located minutes from downtown, UIndy is a community anchor, elevating quality of life for all while connecting students with the internships, culture, recreation and community service opportunities available in a vibrant metropolitan atmosphere. The recently launched Campaign for UIndy is advancing education as well as social mobility and the health of communities. More information is available at campaign.uindy.edu. The Master of Professional Studies in Real Estate Development program at the University of Indianapolis hosted the Urban Land Institute for a cocktail and conversation hour on July 27. 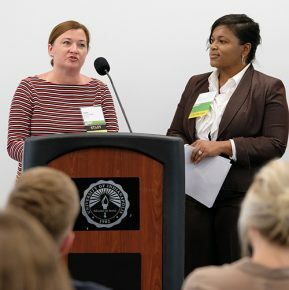 Strategic Capital Partners, who helped develop the UIndy Health Pavilion in which the event took place, spoke on public and private partnerships in community development. In addition to industry professionals, members of the UIndy real estate master’s program took part in the discussion. Mike Patarino of Keystone Realty Group is an instructor in the program and believes the event complemented the material presented in class. “Kris Farrar (of SCP) discussed the nuances of working with local governments and local communities and how to achieve success not only for the developer but also the surrounding neighborhood. In class, we discuss real-world situations and apply what we have learned. This ULI event was perfect timing and strengthened the concepts that the students are learning,” Patarino said. Logan Brougher is a current UIndy student and full-time intern with Greenstreet Limited. The MPS in Real Estate Development program continues to bring industry leaders to campus, with the next taking place Aug. 18. The Curriculum Council, which consists of 15 real estate professionals, will convene to discuss the content presented in the graduate program. About the MPS in Real Estate Development: As the only program of its kind in the Midwest, the MPS in Real Estate Development is designed for entrepreneurs and working professionals that seek to advance their careers with a master’s education rooted in industry best practices. Courses are always one evening per week from 6-9:45. Applications for the August 31st cohort start are still being accepted. The Education Workforce Innovation Network (EWIN) and the Center of Excellence in Leadership of Learning (CELL) at the University of Indianapolis announced the second round of Education-Workforce Partnership Planning Grants. The grants will fund the work of six groups across the state. Grants total $75,000 and range from $7,500 to $15,000 for proposals from regional partnerships that consist of K-12 school/districts, adult education, postsecondary institutions, high-demand sector industry and other community agencies or organizations. Four proposals address manufacturing, one focuses on health sciences and another centers on information technology. EWIN, under the Center of Excellence in Leadership of Learning (CELL) at the University of Indianapolis, provides the grants as well as technical assistance to awardees. Funding will support research into promising models of education-workforce alignment and design of implementation plans. These plans can include robust Early College (EC) career and technical education centers, Pathways in Technology Early College High Schools (P-TECH), academy models or more organically developed customized approaches. – Will explore innovative business/education engagement practices and create career pathways in precision machining to better meet regional employment needs. – Will explore a number of existing programs and structures to support the district as it incorporates computer science instruction through its partnerships with Area 31 Career and Technical Consortium, Nextech, Apple, Bluelock, Bitwise and School of Business at the University of Indianapolis. – Will explore innovative models of education/workforce alignment in advanced manufacturing through partnerships with a variety of businesses, higher ed, local economic development agencies and the Wildcat Creek Career Cooperative that serves eight school districts in three counties. – Will collaborate with key stakeholders to design a continuous pathway to employment and/or postsecondary where students learn basic and advanced manufacturing skills, earn certifications and complete college credits through Ivy Tech, Vincennes and Purdue University. – Will create a Health Sciences Career Academy within Crispus Attucks Medical Magnet High School and Longfellow STEM and Medical Magnet Middle School through collaboration with EmployIndy, IPS, Ivy Tech Community College, the University of Indianapolis, American Senior Living, United Home Healthcare and Trilogy Health Services. The work intends to ensure that IPS students are prepared to enroll in college or career training, enlist in the military or be employed at a living wage. – Will continue to explore and follow an evolving strategic pathways plan customized for its community to provide a more skilled workforce to local employers and better prepare students for the new world of postsecondary as well as successful careers in high demand/high wage jobs. In the first round of Education-Workforce Partnership Planning Grants, lead organizations for funded proposals were Horizon Education Alliance in Elkhart, Jay School Corporation, Lebanon Community School Corporation, Perry Central Community Schools and Ripley County Community Foundation. EWIN has begun to showcase the resulting implementation plans for these partnerships. To learn about these communities’ initiatives, click here. Funding for Planning Grants was provided by Lilly Endowment Inc. The Center of Excellence in Leadership of Learning at the University of Indianapolis provides leadership that is both cutting-edge and action-oriented. Created in 2001, CELL unites districts, schools, communities, universities and businesses to build a sense of urgency and form innovative collaborations for statewide educational and economic improvement. EWIN, a CELL initiative, strategically supports regions across Indiana in reaching the goal of 60 percent postsecondary attainment. Through the development of education, community, and business partnerships, collaboratively designed career pathways connect local systems. Pathways make students college and career ready, design curricular programs grounded in the real world, engage businesses in K-16 learning experiences and provide the local workforce with highly skilled employees. A new program that is the first of its kind in Indiana is already making its mark. The University of Indianapolis launched a Masters of Professional Studies in Real Estate Development in the fall of 2016, becoming the first university in the region and state to offer the program. Program Director Eric A. Harvey, who was recently appointed to the position, said students who enroll are seeking to become entrepreneurs in real estate as they advance their careers. Courses include ethics and problem solving, finance, capital markets, real estate development law, development and construction systems, project management and sustainability, with a capstone course that allows the student to frame their professional goals. The program was recently highlighted by the Indianapolis Business Journal. A new study from the University of Indianapolis published in the American Journal of Public Health finds that citizens living in states with the weakest gun laws are more than twice as likely to be fatally shot by law enforcement. 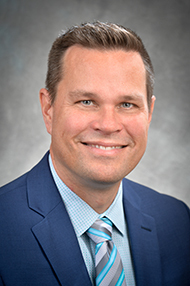 Aaron Kivisto, assistant professor in the College of Applied Behavioral Sciences at the University of Indianapolis, conducted the research along with doctoral student Peter Phalen, in collaboration with Brad Ray, assistant professor in the School of Public and Environmental Affairs at IUPUI. The American Journal of Public Health published the study, “Firearm legislation and fatal police shootings in the United States,” on May 18, 2017. Kivisto, lead author of the study, said the research utilized data on fatal police shootings in the United States from “The Counted,” a database developed by U.K.-based newspaper The Guardian. That data, compared with the state gun law rankings from the The Brady Center to Prevent Gun Violence, showed citizens from states with weaker gun laws are significantly more likely to be killed by law enforcement, according to the study. Researchers examined more than 2,000 fatal police shootings that occurred between January 2015 and October 2016. The study considered differences across states in rates of gun ownership, violent crime and other socio-demographic characteristics. The study found that, while laws strengthening background checks appeared to support this effect by reducing the overall number of guns in the community, laws aimed at promoting safe storage and reducing gun trafficking helped to prevent guns already in the community from falling into the wrong hands. The research group emphasized the need for a comprehensive system to track fatal police shootings nationwide. “Currently, the only serious monitoring system for police violence in our country is the media itself, rather than the government or police,” Phalen said. While policy efforts targeting police practices represent one strategy, these findings show strengthening state-level gun laws as a potential tool for reducing rates of fatal police shootings in the United States, Kivisto said. The University of Indianapolis will impact the growing local and national need for STEM educators through a $1.2 million grant from the National Science Foundation’s Robert Noyce Teacher Scholarship Program. Through the University’s Teach (STEM)³ program, the Noyce grant will enhance collaboration between high-need, local schools to prepare and mentor 36 teacher candidates, who commit to serve as high school STEM teachers after graduation. The grant—the first of its kind for the Teach (STEM)³ program—will help these candidates complete the intensive, one-year program without undue financial hardship. Graduates will emerge with a Master of Arts in Teaching (MAT) degree and fill a critical need to support STEM education.